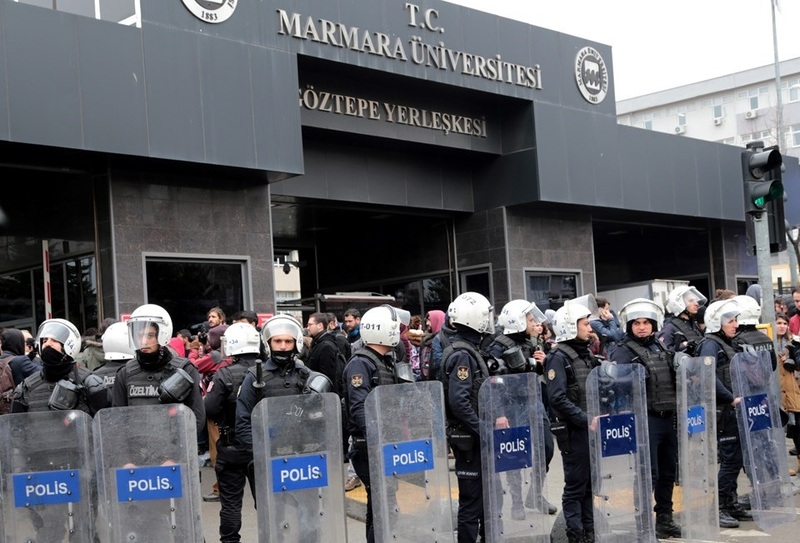 Turkish police on Friday detained 22 former and current academics and staff members at İstanbul-based Marmara University as part of an investigation into the Gülen group, the state-run Anadolu news agency reported. According to the report the Istanbul Public Prosecutor’s Office has issued detention warrants for 42 academics and staff at the university on accusations of opening accounts at Bank Asya, which was seized by the government in early 2015, and using a smart phone application known as ByLock. Turkish authorities believe ByLock is a communication tool among followers of the Gülen group. Police raided and searched the offices of 24 who currently work at the university. The operations are continuing across five provinces to detain 20 suspects who are still at large. According to the TurkeyPurge website about 8,700 academics have lost their jobs as part of a purge launched by the government following a failed coup attempt on July 15, 2016.